The sun’s rays can heat up conservatories to over 60°C – too much for humans, animals and plants. 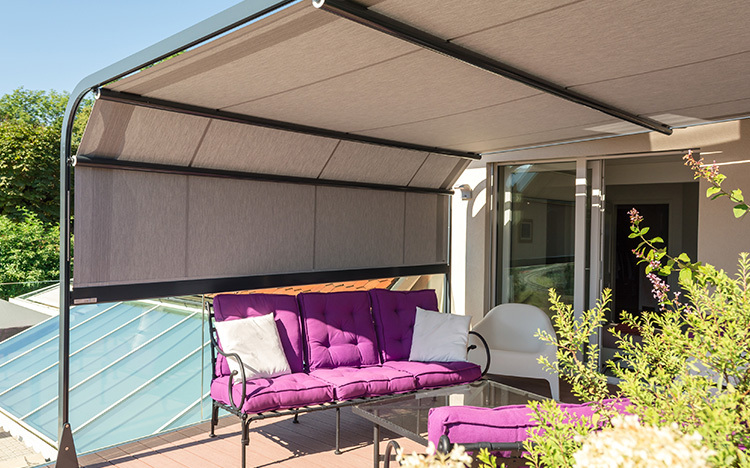 In order that the temperatures behind the glass surfaces remain comfortable in the summer months, STOBAG offers a wide range of textile conservatory shadings. The perfectly coordinated form, function and technology of the systems provide a perfect shading solution for even the most complex conservatory structures. 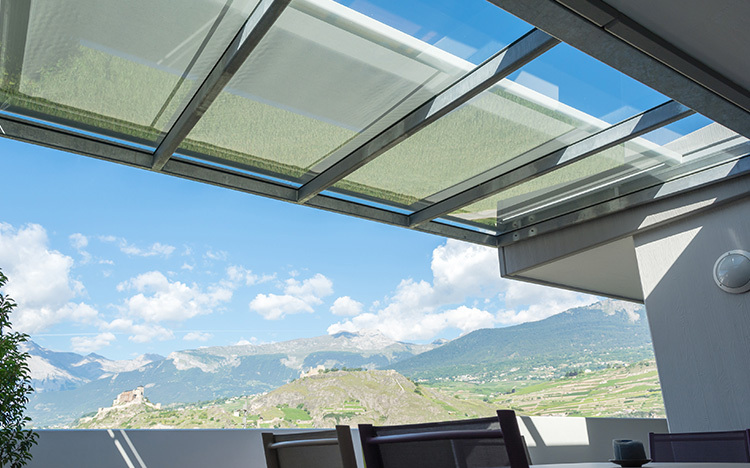 Conservatory awnings, which combine horizontal and vertical shading in one system, are also available. The standard electric drive ensures easy use and can be automated via various control systems. This makes sure that there is the right amount of shade even in your absence. 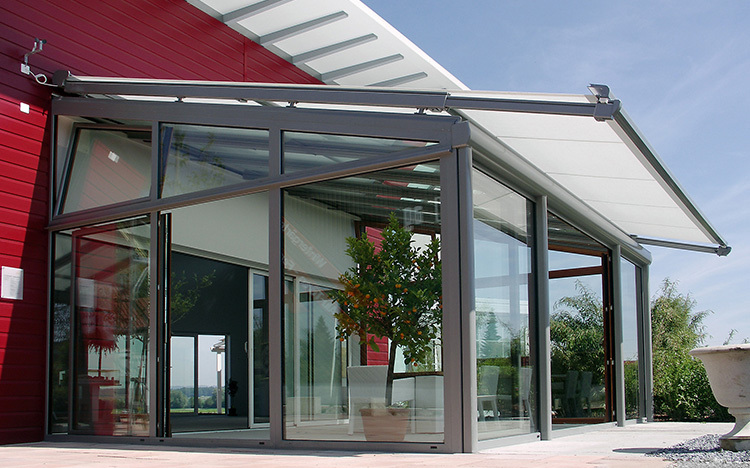 STOBAG conservatory shading systems are tailor-made and offer a full range of options. Continual quality control and the use of tried and tested brand fabrics with up to 100% UV protection guarantee maximum safety and functionality. Let yourself be inspired and choose from over 400 cover designs and thousands of colour combinations. 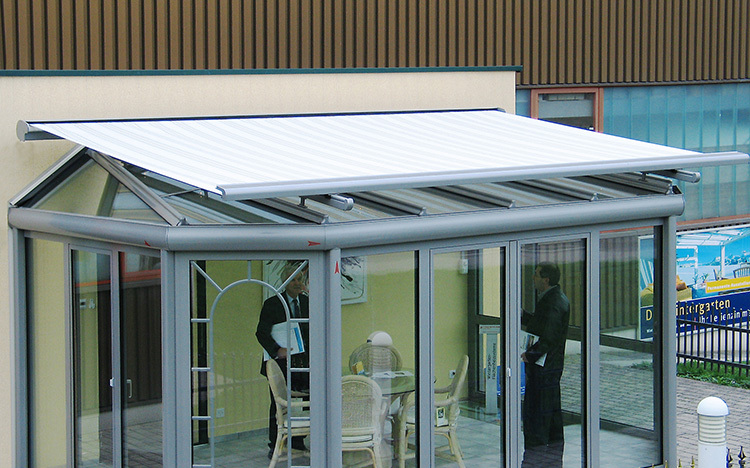 The TARGA models are suitable for larger, complex glass roofing and substructures. 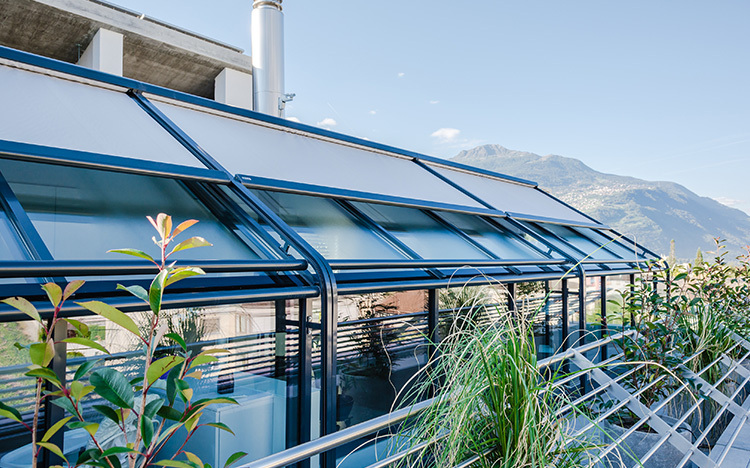 The exterior awning protects against the sun and heat and generates a pleasant indoor climate – with excellent visual characteristics.The guide rails can be moved inwards and can thus shade even specially shaped or inclined conservatories. The TARGA-PLUS model provides a real step forward in shading. 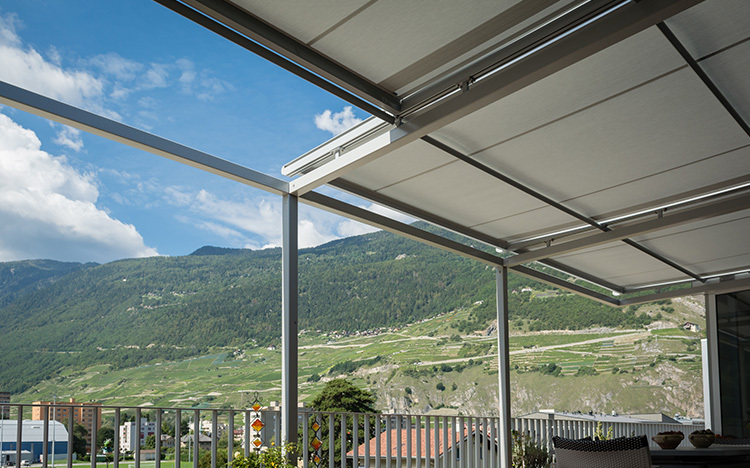 The patented «Plus technology» with its telescopic guide rails makes it possible to extend the cover up to a maximum of 140 cm over the conservatory roof. Even with a small roof inclination, the patented filled cylinders mechanism ensures perfect tensioning of the cover.